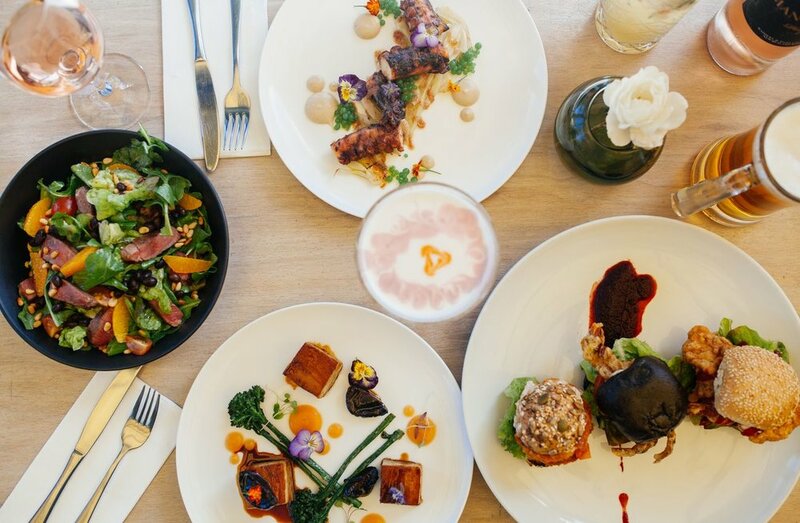 Sitting in a prime spot on Akaroa’s waterfront, Ma Maison is a restaurant worth making a trip for, and certainly not merely for the view (though it is damn pretty!). 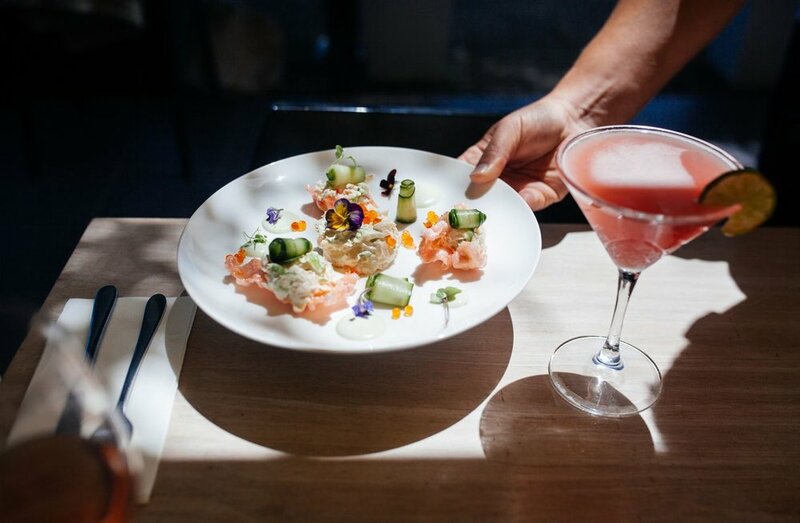 The focus here is heavily on seafood in all its glory, the freshest produce available and local whenever possible. Salmon comes right from the harbour, herbs are grown and gathered from a farm up the hill, along with eggs from free ranging chickens. All of the pickles, chutneys and sauces are made in house and the restaurant even boasts its own craft beer Ma Maison Lager, developed and brewed for the restaurant only. The offerings of this amiable spot are abundant. Think crabs, octopus, scallops, mussels, oysters– you name your favourite seafood and there’s a high chance you’ll find it here. That being said, Ma Maison caters for everyone. Not too keen on seafood but the missus loves it? No stress, whether you’re a full time carnivore, seafood lover or vegan, you’ll find a delicious dish to enjoy from the expansive menu (all day breakfast anyone?). The hospitality here is phenomenal and everyone is made to feel right at home at Ma Maison. Even the kids will be happy here with a menu of their own and a playground right next door. A delicious meal and a nice glass of Chardonnay in the sun while the kids play in full view from the terrace sounds pretty good to me! 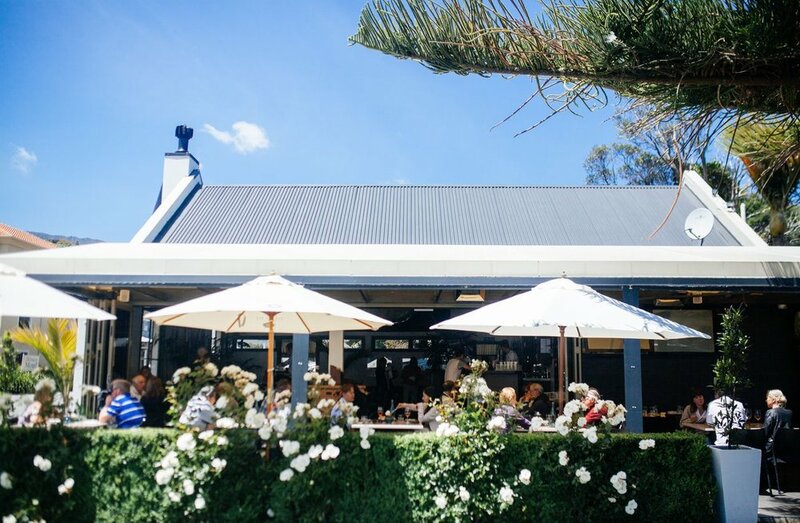 The new owners of this long-standing Akaroa institution have a background as artists and musicians, thus the restaurant often transforms into a concert venue with artists from across the country flocking to perform here. Check out the restaurants website for upcoming events. Monday night @ Ma Maison .. Marcel! mojitos, mimosas, margaritas with Moses and musical hospo night ; all the MMMMMMMH’s..
Marcel Lucont (7 Days, NZ Comedy Gala) brings his acclaimed tour show for one-night only, serving up a unique Whine List from his audience's woes, as always "excellently dry" (The Times, UK) and "fresh, accessible and hilarious" (The Guardian, UK). A kind of group therapy where everyone potentially leaves more depressed. Every Monday night at Ma Maison is 'Hospo night' - featuring live music and an open mic + drink specials and more.. We've had some pretty special evenings here if we do say so ourselves..
Hospo night at Ma Maison - every Monday from 9.30pm : Drink specials and an open mic with live music by Moses Robbins! Brand new menu out this December! - check the menus out here - or come and see us at the restaurant! Be sure to check out the famous Akaroa French Festival, taking place October 6th-8th with events all over Akaroa including live music and theatre!